The importance of facilities management to the effective operation of all businesses is now widely accepted. Where there continues to be debate is on what constitutes a successful approach, and how much attention it should be given within an overall business plan. 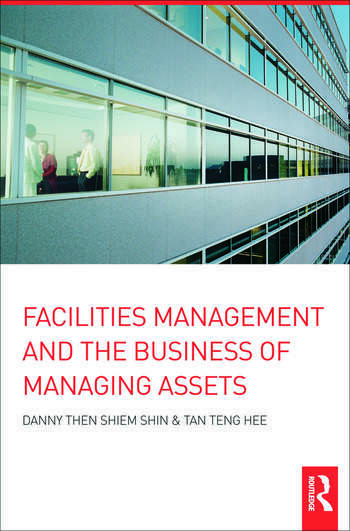 Drawing on both research and current practice, this book provides a systematic, innovative, and business-focused approach to the management of facilities assets. The reader will discover why and how to use facility assets to achieve business goals and strategies by aligning them as a resource. the role of life-cycle asset management and its contribution to business resource management. The message of this book and the benefits it can bring to businesses everywhere make it essential reading for executives as well as facilities managers. Its detailed explanations of all of the key concepts involved, and lists of recommended further reading also make it an excellent resource for those new to the industry, and for students of property or facilities management. 1. Introduction 2. Facilities and Business 3. Facilities Asset Management 4. Strategic Facilities Review 5. Strategic Facilities Planning 6. Strategic Facilities Alignment 7. Facilities Utilization and Asset Maintenance 8. Facilities Management: a Business Function 9. Facilities Management Organization 10. Facilities Management Aligment to Business Needs 11. Summary and Conclusion Glossary of Terms. Danny Then Shiem-Shin is Joint Coordinator CIB Working Commission W070 for Facilities Management and Asset Maintenance. Danny’s academic career spans over three universities (Heriot-Watt University, Queensland University of Technology and Hong Kong Polytechnic University) where he developed postgraduate programmes in facilities management in departments with a focus on construction/property management and building services engineering. He has published and presented more than 70 papers internationally and co-authored Facilities Management and the Business of Space (2001). Tan Teng Hee is an electrical engineer with 37 years’ experience in electrical engineering, maintenance and facilities management across a diverse range of facilities including a large cultural centre, military facilities, hospitals, university campus, and government and commercial office buildings. He worked for the public and private sectors in Malaysia and Australia. Currently he is a facilities management advisor and lectures as a visiting lecturer.